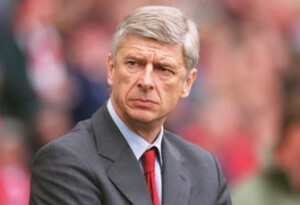 Pressure on Arsene Wenger to bring silverware to Arsenal. LONDON – The hugely popular English Premier League starts tomorrow and fans are sure to witness that there have been many changes in the three months since the last season. Familiar faces like Alex Ferguson, Jamie Carragher, Paul Scholes and Michael Owen have moved on, with new managers and a raft of multi-million-pound signings hoping to plug the holes that they have left behind. Heightening the sensation of new beginnings is the pioneering introduction of goal-line technology, with Hawk-Eye systems now in place at all 20 Premier League grounds. The sense of unfamiliarity will be nowhere more apparent than at Swansea City’s Liberty Stadium, where champions Manchester United will play a league game with a manager other than Ferguson in the dug-out for the first time since November 1, 1986. The first few weeks of Moyes’ Old Trafford tenure have been dogged by speculation about the future of striker Wayne Rooney, whose fitness will be assessed prior to the game after he made his return from injury in England’s 3-2 friendly win over Scotland on Wednesday. United’s two closest rivals from last season are also under new management, with Manuel Pellegrini replacing the sacked Roberto Mancini at Manchester City and Jose Mourinho returning to Chelsea to succeed Rafael Benitez. City, who have spent an estimated 90 million ($139 million, 105 million euros) on new players, do not begin their season until Monday, when they host Newcastle United, with Chelsea in action a day earlier when promoted Hull City are the visitors to Stamford Bridge. Sunday will also witness another encounter between a promoted club and a budding title contender, with Tottenham Hotspur travelling from north to south London to take on Crystal Palace. Like City, Spurs have also spent heavily in the close season, with Thursday’s acquisition of France midfielder Etienne Capoue from Toulouse nudging their total outlay towards the 60 million mark. It is Gareth Bale’s mooted move to Real Madrid that has most occupied manager Andre Villas-Boas’ thoughts this summer, however, although the Welshman will be absent at Selhurst Park with a foot injury. Once again, Spurs begin the season with the aim of pipping north London rivals Arsenal to a Champions League spot, having narrowly failed to meet that objective last season. Arsenal are yet to add any new players to their squad, to the consternation of their fans, and manager Arsene Wenger also has injury concerns in midfield ahead of Saturday’s visit of Aston Villa. Santi Cazorla may be short of fitness after turning out for Spain against Ecuador, while Mikel Arteta is a doubt with a thigh problem. The new season kicks off at Anfield, where Liverpool come up against a Stoke City side with a new manager in Mark Hughes. With unsettled striker Luis Suarez absent as he completes his 10-game ban for biting Chelsea’s Branislav Ivanovic last season, Rodgers has been boosted by the news that Daniel Sturridge has overcome an ankle problem. Paolo Di Canio’s Sunderland, and their 10 new signings, begin the campaign at home to Fulham, while Southampton will have club-record 12.5 million signing Victor Wanyama on board for their trip to West Bromwich Albion.